Home » Analyses and Opinions » Who Are the Enemies of China? Who Are the Enemies of China? Who are the enemies of China? It used to be a horrifying question. History books used to say that imperialist America was China’s enemy, and John Leighton Stuart, who was taunted by Mao Zedong, represented the ugly image of American imperialism. In recent years however, we got to know that John Leighton Stuart in fact had deep love for China, a man “who is more Chinese than an American.” Following the Mukden Incident, he took hundreds of teachers and students at Yenching University to the street to protest Japan’s invasion. He was locked up in a concentration camp by the Japanese military until the end of the WWII. 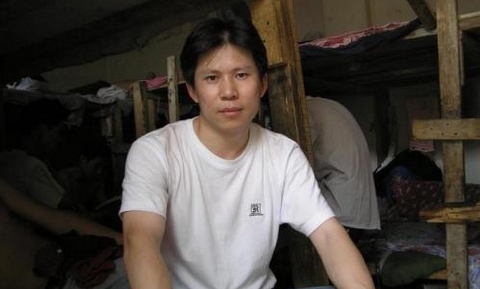 His death wish was to be buried in where he was born – in Hangzhou, China. During the time when the Chinese nation was in peril, China and America fought side by side in the vast Asia-Pacific battlefield. It is hard to imagine that China could have defeated Japan on its own without the Americans and that China could be a founding member state of the United Nations. However, that friendship, forged in blood, soured several years later. The two great nations went from being friends to being enemies in the blink of an eye because of one ruler. Even if we consider only national interest and disregard for moral principles, was it for the good of China? Some memories were painful ones. The Anglo-French Alliance, the Eight-Nation Alliance, and the Old Summer Palace that was burned down – these have often been used to inflame national rage. The long history of humankind was once a history of hatred and battle flames when there were no moral principles, nor laws, but a fight for resources and for expansion of territories, and sometimes just for a woman favored by a king. Fortunately, human civilization has reached new heights over the second half of the 20th century. For the most part, people in the global village have formed a moral consensus and established an order: It is unlawful to start a war for the sake of territorial expansion and plunder of resources, and Saddam Hussein had to pull out of Kuwait. Even a ruler’s suppression against his own people is unlawful. International courts have put dictators on trial for genocide. The trend of freedom, democracy, rule of law, and human rights has swept the earth. The theory that internal solidarity can only be strengthened by making outside enemies is a political theory of the barbaric era. There will always be “you” or “us” among humans, but it does not have to be “friends” or “enemies.” It is the logic of tyranny that, to maintain national unity, an enemy must be created to inspire fear. Humans do not need enemies; we can be united through shared belief in good, by responding to one another in our joy and happiness. When Hitler was murdering the Jews in the name of creating space for the survival of the Aryan race, Charlie Chaplin’s movie The Great Dictator presented a beautiful dream in which enough resources exist on this planet to feed all, humans do not have to fight and slaughter each other for them. Nations should form mutually beneficial, win-win relations, and people on earth can live happier lives through trade, communication and mutual help. Just like France and Germany, whose generations of animosity came to an end, China does not have to make the US its enemy, nor the United Kingdom nor France, not even Japan or Russia. China and all other countries in the world can prosper together, advance human welfare through trade, cope with economic crises and swine flu together, and jointly explore space and the future of mankind. China is a big country. As long as there is equality, justice, harmony and unity within the country, no one else would be foolish enough to contemplate occupying this land by force. Historical territorial disputes could only be resolved through negotiations that respect facts and justice. Wars do no good to anyone. Among the many countries of the world, conflicts of interests still exist. Some may be competitors of China, others may criticize the Chinese government for human rights abuses, still others may adopt unwise trade protectionism for their own national interests, but they are not enemies of China. For older Chinese, the idea of “hostile forces” was a frightful one. Today, it is no longer popular in the public sphere, but still makes regular appearances in some of the internal documents. Once an organization or a person is deemed a “hostile force,” laws cease to apply to them. She said she very much wanted to go back to her motherland, mainland China, to take a look, but she couldn’t, because she belonged to that “hostile organization” (referred to Falungong — editor), branded suddenly in 1999. In China over much of the 20th century, class enemies have been created in one political movement after another. For some Chinese, there are still many “hostile organizations” that, even today, are scattered in the cities and the countryside, over the Internet, and all over the world. It is hard for some people to understand “those well-fed people who have nothing better to do” (a well-known Xi Jinping quote from his 2009 Mexico trip – editor), like that Yale law student organization “Darfur 24 Hours” that criticized China’s activities in Africa, and why so many human rights groups are picking on China. But looking closer, you will find that in this world, there are indeed many people who, out of genuine beliefs, care deeply about the rights and dignity of strangers far away. They put their values into action, their criticism may exasperate some, but they are not enemies of China. Citizens who fight for justice may give headaches to government officials, they may be devoted believers, they may take on risk to defend what they believe to be right, they may helplessly sing the song “Eluding the Cat” or the “Grass Mud Horse” online (both songs challenge the authority of the regime – editor), they may have different views about the nation’s history, or they may be biased against the CCP, but they are not enemies of China. Those who committed crimes may be condemned by all and may never be able to atone for their sins, but they are still capable of love for others and for the country. A real confident society would treat them not as enemies, but as patients; not loath them but help them. If we believe the country has just laws and fair trials, then they would bear the legal consequences of their actions. They should not be a class discriminated against, and they were not enemies of China. Those “rightists” who upheld their independent views or criticized the party, those “anti-revolutionists” who opposed the “Great Leader” Mao Zedong or have their own opinions toward Marxism ideology, those “bourgeoisies” whose forbearers were of the moneyed class through hard work, those “five black categories” whose family backgrounds were not favored by the red revolutionaries, and those millions of Chinese in the 20th century who believed in good but suffered greatly, they were not enemies of China. China is an ancient country. It has centuries-old culture, vast territory and kind and hardworking people. In the 20th century, the nation experienced dire crises, great hopes, and confusion about the future. There may be some people who indeed hate China, wish it to be split up. They may wish for it to sink into turmoil and even be destroyed. They try to kill our compatriots, sisters and children. If there are indeed such people who harbor such unfounded hatred, their number must be small and they should not be feared. They should be not considered the enemies of China; they should be the objects of legal sanction and spiritual salvation. The one formidable enemy of China is actually a phantom, a phantom that controls our souls and makes us hate each other, fight each other, and deplete each other. This phantom is a mixture of historical scars, millennia of bitterness and suffering, and loss of life in one turbulent dynastic change after another. It has split peaceful villages into violent factions fighting each other. It has forced tens of thousands of intellectuals to suppress their consciences in order to live their lives. It is capable of whipping the whole society into an ignorant mad house. Over and over again it has purges the nation’s most steadfast fighters for justice. As a result, our sense of morality has been crushed and our humanity damaged, and our children grow up in hatred. It has made our society estranged and fearful. It drives our public servants into unrestrained greed, corruption and anxiety. They even act like thugs, imprisoning and beating the powerless who seek justice. It drives our judges to sign their cheap names on unjust verdicts at the expense of conscience, justice and integrity, leaving powerless people whose homes have been demolished and land expropriated nowhere to go to attain justice. Because of it, officials become accustomed to lying and lose the trust of the people. Because of it, deviousness and treachery are etched into the face of just about the every man who is 40 years old, a pitiful sight to look at. It divides our society into the urban and the rural, the rich and the poor, and the powerful and the powerless. Even the monthly social security payment of 50 yuan RMB in a remote village goes to those who have connections, not those who need it the most. It has led to our moral degeneration, to one group of people keeping watch on another. It makes people suspicious of others and hostile to each other. It makes us stray from living honestly and lovingly. It makes our society rife with lies and falsities. Because of it, we have in our society absurdities one after another, such as death by “hide-and-seek,” death by “having a nightmare,” “Tiger Zhou,” etc. It leaves people full of anger and complaints against each other. Yes, this enemy of ours lives in the deepest recess of our heart as a nation. Because of it, each of us hides behind a thick mask, unable to trust and prone to hostility. No country or individual in the world can damage us as it does. This enemy of ours is not any other person, not any other country, but the very idea of an “enemy” living in us, a terrible phantom. We live under the control of this phantom. We live in this smog of apathy, fear, and suspicion that blankets our society and each one of us. No one can save us, but ourselves. Our dream is to save the nation from this idea of “enemy,” to break down the barriers among our compatriots, and to let the light shine through each one of us. Hatred breeds hatred. A bad political environment brings out the vicious side of humanity in which people hate and fight each other. Conversely, a just political environment promotes the goodness of humanity in which people are able to love one another. We understand those people who harbor hatred in their heart because everyone can. However, we believe that it is impossible to eliminate hatred through hatred, and to use violence to destroy the enemy in our heart. As long as there is an “enemy” in our heart, we will be controlled by it. Only through love can we destroy the enemy, eliminate hatred, and build a land of freedom and happiness. First, we must save ourselves. Living in a vile and unjust society, we must be extra vigilant so that our minds will not be deceived. When fighting for justice and dignity, we cannot resort to hatred, for hatred will only lead us to another disaster in the opposite direction of where we want to go. We can only choose reason, the rule of law and non-violence. Despite the darkness, we must fill our heart with warm sunlight. Say goodbye to the phantom of “enemy” in our heart, live in truth, and believe in the goodness of humanity. With a smile on your face, tell the man who is searching around for enemies with his watchful eyes that the biggest enemy is nowhere but in his heart. With a smile on your face, tell that guard at the black jail that if he suffers from injustice, we will help him. With a smile on your face, tell the man whose job is to watch and report on you that he should not lie to his child about his work for the day. Compatriots, you and I are not enemies. The phantom that sets us apart, that makes us distrust and hate each other is our enemy. Try to love everyone around you. The Chinese nation will not be saved until “enmity” and “hatred” have nowhere to feed themselves and die in abandonment. I believe the time for our salvation has come. The Chinese nation has never been so full of hope before as they are today. The night is trying to hide itself, in vain, in the breaking dawn, and the evil-doers are beginning to feel uneasy in the face of humanity. I believe we have already been empowered by a higher order, and this power is strong enough to diminish fear, hatred, suffering and death. This power has boundless love. My fellow compatriots, we are building a country without enemies. Let the smog of fear and hatred disappear forever from our hearts. We do not need outside enemies, much less enemies inside. Believe in this era of civilization. Believe in the future of the Chinese nation. We have no enemies. By China Change in Analyses and Opinions, Political Transition on September 11, 2013 . It’s a beautiful dream to have, a world where enemies are not needed and we can be united by good. Maybe I’m a pessimist, but I’m not convinced it can be done. People like to belong to an elite group, and in order to feel that they’re truly “elite,” someone must be inferior. Even if we somehow (somehow) managed to create such an ideal world, how long could it last before a new religion arose to break it all down again? The ‘Phantom’ inside the people of China also haunts the people of the USA. I think this phantom is a product of human nature or even more primal instincts. The people of China and America and the rest of the world are not as different as we think we are. I look forward to the day when oppression, human suffering, war, and the talk of war are relegated to history books.